Over the past decade, healthcare has seen a significant rise in provider burnout. 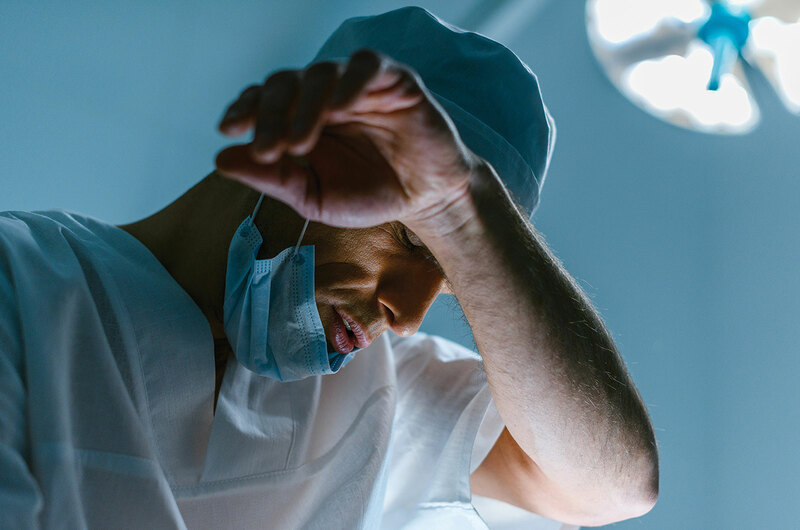 Many have suggested it is reaching epidemic proportions, and with more than half of anesthesia professionals suffering from its effects, it is clear our specialty is not immune. We will explore some of the symptoms, contributing factors, and consequences for our patients, professionals and practices. We will also look at one institution’s experience and efforts to recognize and reduce its effects. With appropriate education and awareness, we can arm ourselves with the tools needed to ameliorate this growing trend. As anesthesia professionals, we are confronting challenging times. Our specialty is experiencing a period of mergers, rapid consolidation of practices, and a trend toward employed providers that has dramatically affected our autonomy. Bundled payments, declining reimbursements, electronic health record systems (EHRs), and acronyms like merit-based incentive payments (MIPS), and Medicare Access and CHIP Reauthorization Act (MACRA) consume our daily vernacular. We are experiencing rising demand for anesthesia services while simultaneously facing a national shortage of nurses and physicians.1 Furthermore, our practices are inundated with internal and external pressures to meet or exceed national benchmarks in hospital quality indicators and patient satisfaction/loyalty ratings to effectively compete with local competitors.2,3 Over the past decade, health care has also seen a significant rise in provider burnout, and it is clear that anesthesia professionals are not exempt from this growing epidemic. This article will review the causes of burnout and potential solutions to reduce risk. What is Burnout and what contributes to it? Our practice has experienced rapid growth and now covers four hospitals and five ambulatory centers. This necessitated increasing creativity in how we schedule our professionals. During a typical week, our anesthesia professionals may have to travel to three or four different locations. This became a significant source of dissatisfaction, in particular for our Certified Registered Nurse Anesthetists (CRNAs) who were primarily responsible for the increased travel to different locations. Flexibility in hours worked is also becoming increasingly critical to our changing workforce demographic. Studies show this can increase provider satisfaction, yet does not adversely impact patient satisfaction, quality of delivered care or efficiency.14 Over the past 15 years, our department has seen a considerable change in the proportion of professionals who work full-time. Part-time employment has offered our professionals additional flexibility as to when they work, as well as enabled our practice to flex up or down depending on daily staffing needs. Greater than half of our anesthesia professionals are suffering from burnout.4,15 With appropriate education and awareness, we can give our professionals, practices, and organizations the tools needed to ameliorate this growing trend. We need to confront the ever-changing health care landscape with focused attention, creativity, and an open mind. As former US Surgeon General Vivik Murthy, MD, said, “If health care providers aren’t well, it’s hard for them to heal the people for whom they are caring.”16 More than ever, it is imperative that culture, morale, and provider well-being become part of our core values. Natalie Tarantur is currently a certified registered nurse anesthetist at NorthShore University HeathSystem. Dr. Deshur is currently vice chairperson of Operations in the Department of Anesthesiology at NorthShore University HealthSystem and is clinical associate professor in the Department of Anesthesiology at the University of Chicago Pritzker School of Medicine. Neither author has conflicts to declare as they relate to this article. Dall T, West T, Chakrabarti R, et al. The complexities of physician supply and demand: projections from 2016 to 2030 Final Report: Association of American Medical Colleges. Washington, DC: IHS Markit Ltd; 2018. Maslach C, Jackson S, Leiter S. Maslach. Burnout Inventory Manual. 3rd ed. Palo Alto, CA: Consulting Psychologist Press; 1996. Shanafelt T, Noseworthy J. Executive leadership and physician well-being: nine organizational strategies to promote engagement and reduce burnout. Mayo Clin Proc 2017; 92:129–146. Shanafelt T, Boone S, Tan L, et al. Burnout and satisfaction with work-life balance among US physicians relative to the general US population. Arch Intern Med 2012;172:1377–1385. Shanafelt T, Hasan O, Dyrbye L, et al. Changes in burnout and satisfaction with work-life balance in physicians and the general US working population between 2011 and 2014. Mayo Clin Proc 2015;90:1600–1613. Medical Group Management Association. Provider Comp Surveys 2016, 2017, 2018. Accessed on July 1, 2018—www.mgma.com. Deloitte Millennial Survey, 2016. Accessed on July 1, 2018- https://www2.deloitte.com/global/en/pages/about-deloitte/articles/millennialsurvey.html. Williams E, Manwell L, Conrad T, et al. The relationship of organizational culture, stress, satisfaction, and burnout with physician-reported error and suboptimal patient care: results from the MEMO Study. Health Care Manage Rev 2007;32:203–212. Moss M, Good V, Gozai D, et al. An official critical care societies collaborative statement: burnout syndrome in critical care health-care professionals. CHEST 2016;150:17–26. Farnaz M, Gazonai P, Amato Z, et al. The impact of perioperative catastrophe on anesthesiologists: results of a national survey. Anesth Analg 2012;14:596–603. Shanafelt T, Gorringe G, Menaker R, et al. Impact of organizational leadership on physician burnout and satisfaction. Mayo Clin Proc 2015;90:432–440. Deshur M, Shear T. Unpublished data from NorthShore University HealthSystem; 2017. Tarantur N, Katz J. Unpublished data from NorthShore University HealthSystem. 2018. Fein OT, Garfield R. Impact of physicians’ part-time status on inpatients’ use of medical care and their satisfaction with physicians in an academic group practice. Acad Med 1991;66:694–698. Kumar S. Burnout and doctors: prevalence, prevention and intervention. Healthcare (Basel) 2016;4:pii:E37. “Surgeon General Concerned About Physician Burnout,” MedPage Today: Web. April 10, 2016. https://www.medpagetoday.com/publichealthpolicy/generalprofessionalissues/57280 Accessed on August 20, 2018.